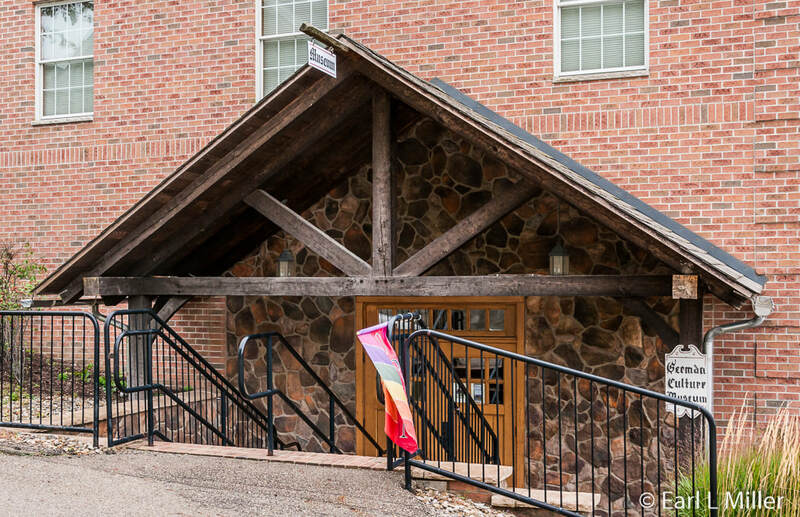 In the heart of Holmes County, the village of Walnut Creek provides opportunities to understand the cultures which settled and now live in the area. Trips to Yoder’s Amish Home and The German Culture Museum do just that. 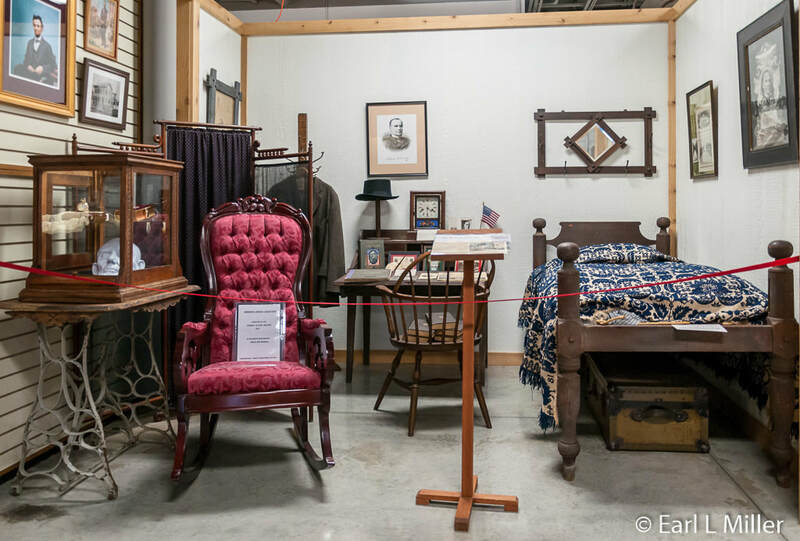 The German Culture Museum’s focus is on being the keeper of the history of Holmes County and Walnut Creek by displaying items and maintaining a record of happenings since the area’s pioneer days. Particular emphasis is on the lifestyles of the area’s Amish and Mennonite residents who brought their German and Swiss cultures with them. Ed Schlabach and Wayne Hochstetler, both Walnut Creek residents and photography buffs, started the idea for the museum. Ed’s family owned Schlabach’s Store in Walnut Creek where he worked and sold cameras. He quickly developed a reputation as the Camera Man. The family’s store and house were located on land that now houses the Walnut Creek Community Building (German Culture Museum on the lower level with Holmes County East Branch Library and Community Room on the upper level). In March 1960, when a fire destroyed the Schlabach home and business, a new store opened at another location. From the 1950's to the early 1970's, Ed and Wayne bought lots of artifacts from private acquisitions and public auctions. They stored them in barns, sheds, and warehouses with hopes of having a museum one day to display their collections. The items and two men aged with Ed dying in 1979 and Wayne in 1993. Ed’s sister, Ruth, decided to take the steps to establish a museum to fulfill her brother’s dream. With the help of Wayne Hochstetler, Roscoe Miller, Stanley Kaufman, and others, they organized the German Culture Museum. It opened in August 1982 in a former home beside the Walnut Creek Post Office. In 1896, President William McKinley had slept at this residence and given a front porch campaign speech the next day. Unfortunately, the home became too small to house all of the museum’s collections. Ruth donated the land for the Walnut Creek Community Building which was constructed in 2007. Her only requirement for doing this was that the building would include space for the purposes it still fulfills - the library, museum, and community room. After three years of organizing, building displays, and moving to a new building, the current German Culture Museum reopened in August 2010. The museum’s aim is to give a snapshot of life in the 19th and early 20th centuries. A major part is its Aisle of Rooms. These range from an old-fashioned kitchen to a bedroom complete with a rope bed and straw ticked mattress to a dining room/parlor. The kitchen includes a wood-fired cookstove, a dry sink, a dough box, and many kitchen utensils. 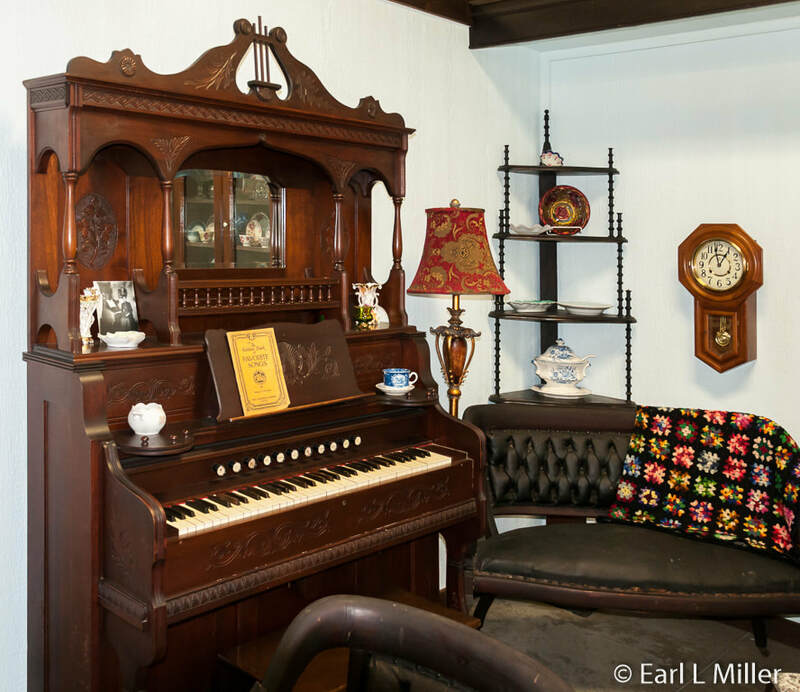 The parlor has an early Edison phonograph cylinder record player, a century old music box, and an Estey Company foot-pumped organ. The Children’s Room has a myriad of sleds, toys, and recreational items as well as a child’s wooden bed. A leisure room displays a rocking chair, reading materials, a radio, game boards, and early record players. Items from different stages of cloth making are in the Cloth Corner including flax hackles, a flax break, and a spinning wheel. 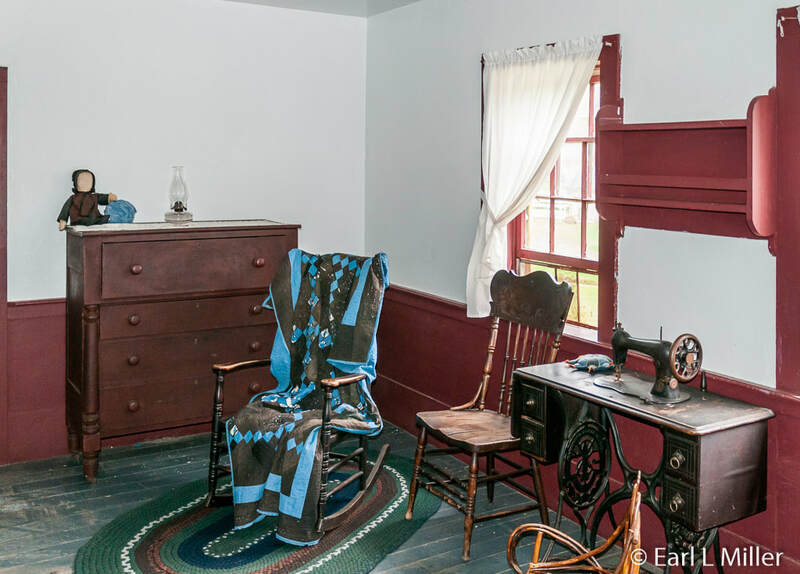 The Women’s Work Room depicts the many household chores a typical housewife performed as well as early labor saving devices ranging from apple peelers to cherry pitters. 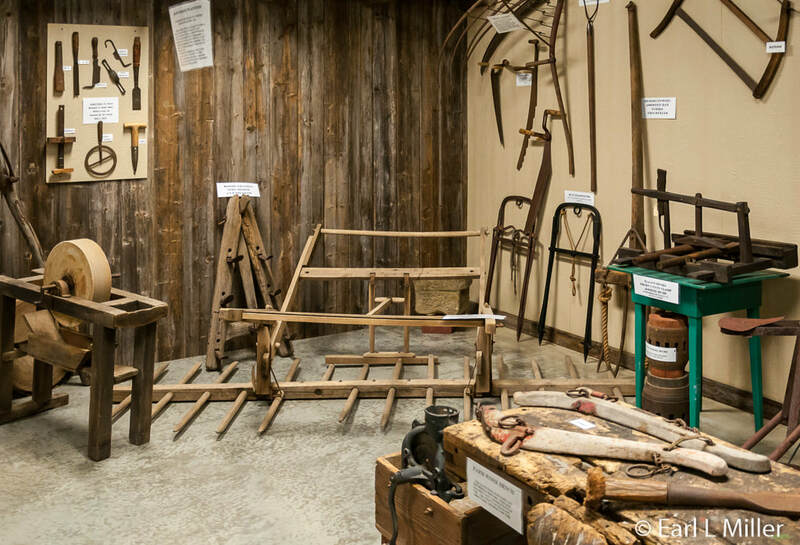 The men’s corner shows the variety of tools that carpenters, builders, and farmers used. Showcases include information on the Sesquicentennial, area businesses and families, and disasters in Walnut Creek. The McKinley room honors William McKinley with campaign memorabilia. You’ll also see a church, and a barn. A school room represents the Walnut Creek School between October and March 1884 to 1885. It contains desks, books, historical documents, and teaching aids. The church has a stained-glass window, altar, and cross from the past Reformed Church (now St. John’s) The room also has photographs of other area churches. Transportation is not ignored as visitors see a three-seat Glen Falls Surrey made by the Joubert & White Carriage Company around 1890-1900. It formerly belonged to John D. Rockefeller for family use. As a boy, Rockefeller moved with his family to Cleveland in 1853. He built Cleveland’s first oil refinery in 1863 and founded Standard Oil in 1870. Two Walnut Creek history buffs purchased it at an auction in the 1930s, storing it in a barn until its restoration in 2005. A three-wheeled boardwalk cart and bicycles are also displayed. One unique piece is the T̀äuferversteck or Anabaptist hiding place. It’s a working miniature replica of a hiding place used by Swiss Anabaptists, in a Switzerland barn, to escape their persecutors in the 1500s. The museum also displays a collection of unusual butter churns. One is a hand-operated angled-paddle model, a type more comfortable for the person cranking. An 1856 Martin Luther Bible and the German family Bible of a local family are shown. A copy of the Ausbund, the Anabaptist hymnbook, still used by the Amish today, is also displayed. Many of the songs in the Ausbund date to the 1530's when the Anabaptists were imprisoned and persecuted, A few other songs were added over the years. The Walnut Creek area was settled by Amish pioneers from Somerset, Pennsylvania. In the spring of 1809, Stutzman, along with other family members, arrived in nearby Sugarcreek, Ohio. 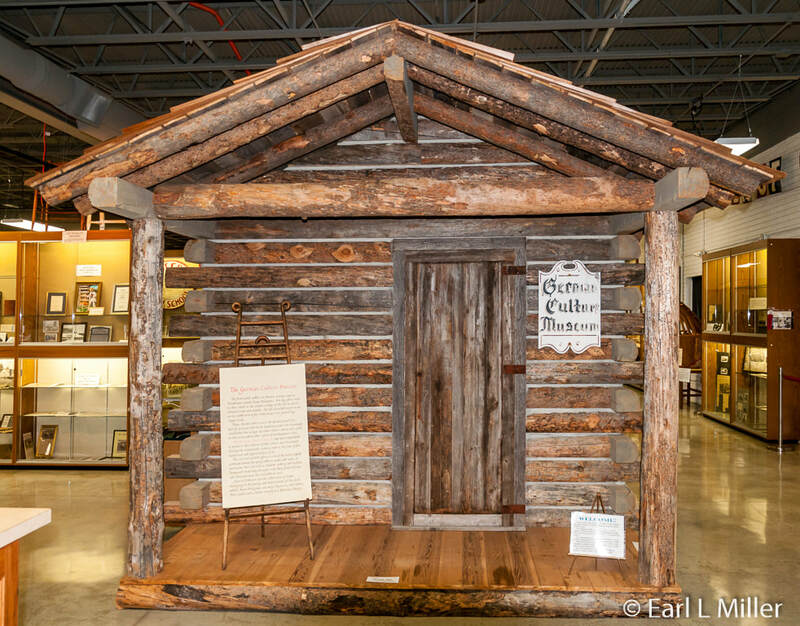 Looking for a place to establish himself, Stutzman walked about five miles away where he built the first log cabin in eastern Holmes County. He also provided the first sawmill and established the first school. All of these firsts earned him the title the “Father of Amish Country.” In his later years, he always dressed in a white (weiss) suit. He wore white to represent the pure life he led. Some consider him a prophet. He wrote “Appeals to All Men” predicting the return of Christ in 1853. The original copy of this, published in 1850, and the manuscript “Ein Sendschreiben,” published in 1852, advising his brethren to repent and remain faithful to Christ, are displayed at the museum. These may be the only original copies in existence. He also built an oversized chair for the Lord to sit on. 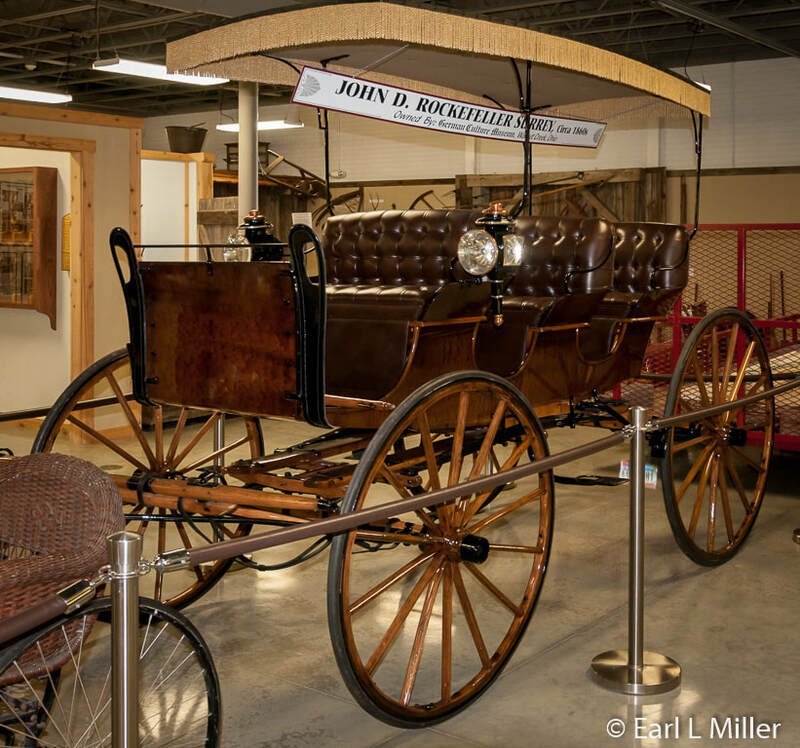 It’s displayed at the Amish & Mennonite Heritage Center. He built conventional chairs that he gave out when he would visit someone or wanted to thank them. Three of these are at the German Culture Museum. 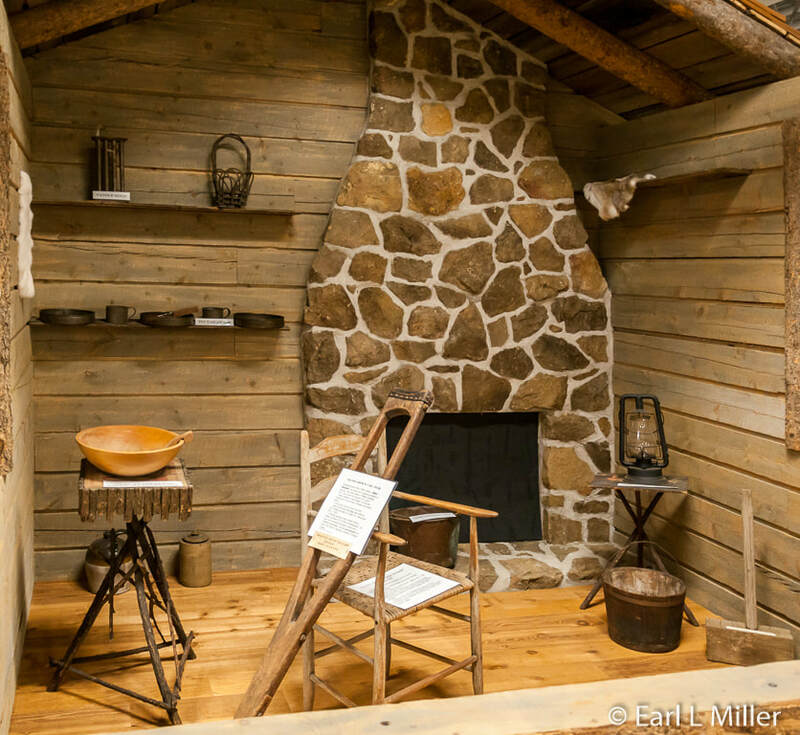 Another is the depiction of a typical one room early 1800's cabin. On display near the cabin’s fireplace is Reuben Yutzy’s long gun. Yutzy, the son of a German immigrant, came to Ohio in 1839 from Lancaster, Pennsylvania. He settled in Holmes County’s Paint Township near Winesburg, Ohio. He was a farmer and a self taught gunsmith. The museum is run by volunteers which has led to it having limited hours. It is only open Thursday, Friday, and Saturday from noon to 4:00 p.m. from the first Thursday in May through the last Saturday in October. There is no admission though donations are accepted. It is located at 4877 Olde Pump Street in Walnut Creek. The telephone number is (330) 763-1390. 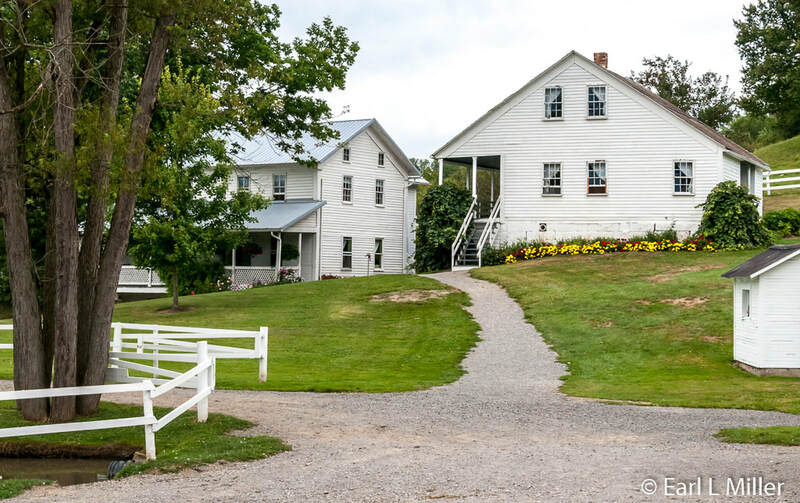 A visit to Yoder’s Amish Home provides insight into how this culture lives as you tour two homes, take a buggy ride, and visit a one room schoolhouse. 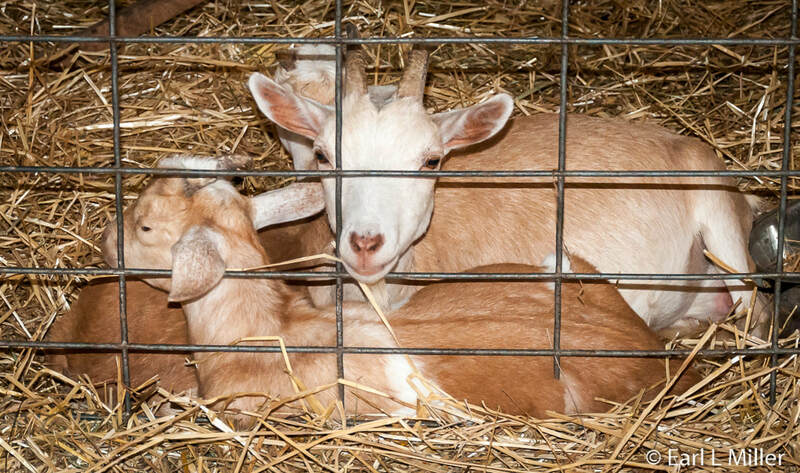 You will also have an opportunity to tour a barn full of farm animals. 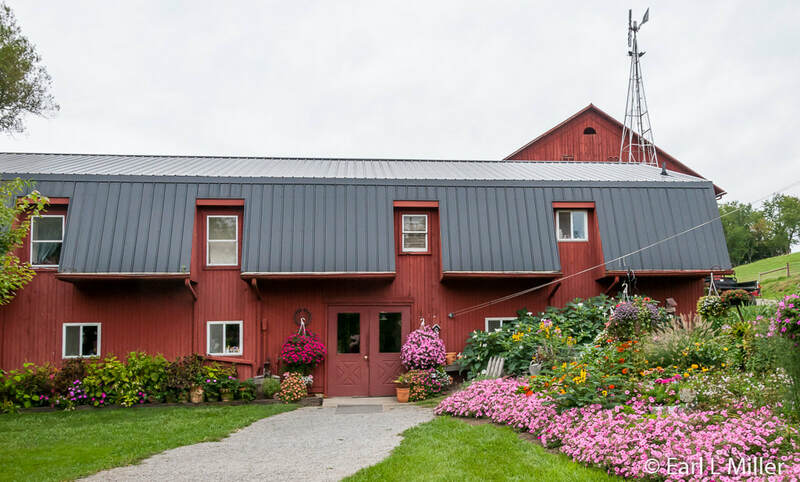 Eli and Gloria Yoder purchased the farm via a public auction in 1972. The property had two farm houses and a barn. The smaller farmhouse, later used as a chicken coop, was built in 1866; the barn in 1885; and the large farmhouse in 1898. The family, who had owned it, moved to Kentucky and rented it to other Amish from 1962 to 1972. When the Yoders purchased it, the farm was badly run down. It required extensive repairs before finally opening for tourism in 1983. Eli had been part of the Old Order Amish faith until the age of 21. Gloria was raised “English” (non Amish). She had attended a mostly Amish school and lived about a half a mile from Eli. They thought it would be a great idea to share the Amish culture with visitors. Guides vary greatly on the information they provide. The guide on a video on Yoder’s Amish Home started his tour with a brief explanation of Amish history and core beliefs. (Read my article “Understanding the Amish,” February 18). The Amish have several sects ranging from conservative to liberal. Each has different rules regarding how they live and deal with technology. Our guide explained about the gardens. We learned that the Amish grow a lot of their food. Nearly all Amish homes have a sizable garden. 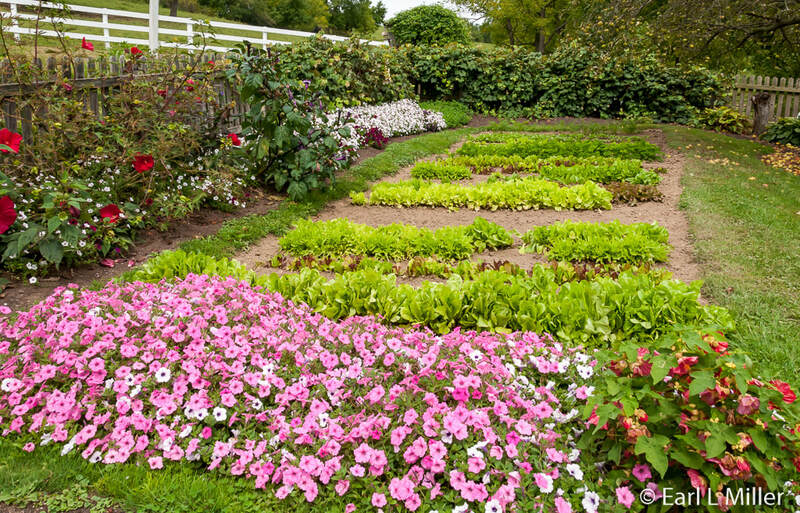 Amish plant flowers and early fruits and vegetables in their spring garden. In the larger summer garden, they grow fruits and vegetables that can be canned for use the rest of the year. They may have fruit trees or grapevines on their property. We saw a bell hanging near the house and were told that it could be heard for a half a mile to a mile away. It is used to call people for dinner and also in the case of an emergency. On the white wooden fence, we saw jars covering each of the fence posts. Jars are washed and put out to dry. The glass jars become sterilized because of the sun’s intense heat. The smaller home we saw was a Dawdy House. When the Amish become elderly, a home for them is constructed next door to the main home so they can be watched and assisted. The shack at the back of the Dawdy house is an outhouse. They’re still found at about 10% of the Amish homes since most have indoor plumbing today. We saw kitchen equipment from that era. This house did not have central heat so warmth is supplied from two wood burning stoves. One is located in the kitchen and the other in the living room. The stove has a warming box to place prepared food.. 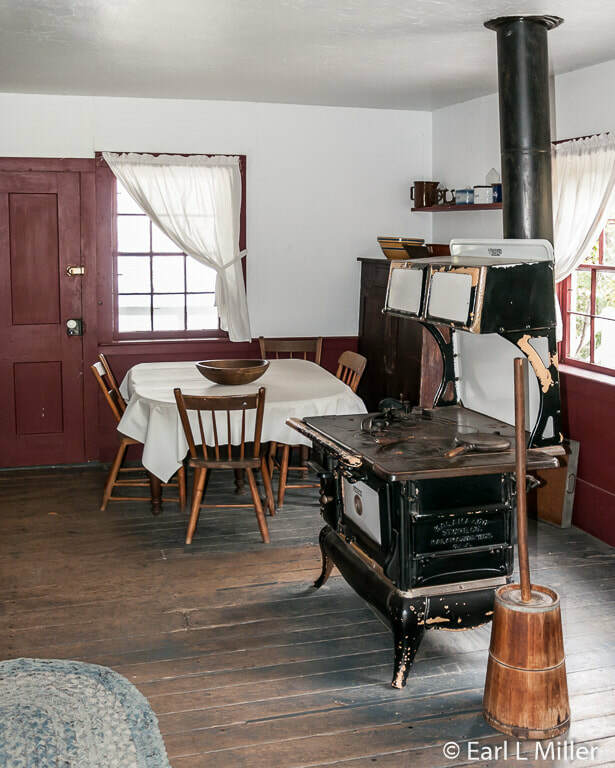 In Amish homes, heat is also supplied by other means including propane and natural gas heaters. Some stoves burn coal instead of wood. Fireplaces are not common. The basement is a common location for a heater/stove since venting allows the heat to circulate throughout the home. We saw what looked liked a table with a counter. It was a dry sink. The Amish heat water on the stove then pour it into the dry sink for washing. When finished, they drain it into a bucket and pitch the water out. 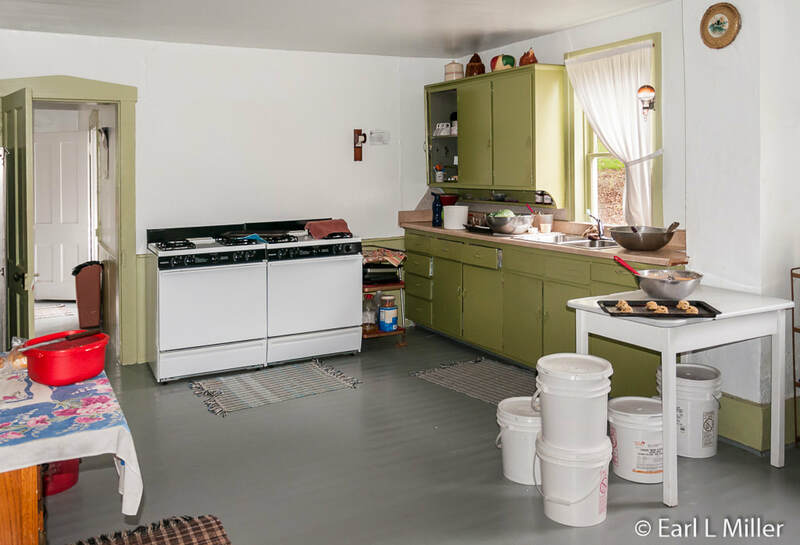 This kitchen had a pantry and a large butter churn. The living area had once been the kitchen and was now the parlor. All floors throughout the house are hardwood. It had a weasel in the corner of the room, a ball of thread, a treadle sewing machine, and sewed, not braided, rugs. We noticed wood rather than upholstered furniture. Wooden furniture, often made by local craftsmen, is popular with all Amish groups. However, upholstered furniture is more likely to be found in the liberal Amish homes. Every Amish woman has a sewing machine. The one in this house was treadle operated though some liberal Amish groups have ones hooked up to car batteries. From the age of ten, girls start making their own clothes including dresses. Amish women also make a lot of quilts and comforters. We saw a box containing firewood. Young boys, at age ten, are responsible for bringing in this wood and making sure that the home’s stoves are operating. The parlor had a faceless doll. The second of the Ten Commandments says there will be no graven images. That is why Amish dolls don’t have faces and why the Amish, for the most part, don’t allow photographs of themselves. Some liberal Amish do allow it. The home has two bedrooms. The one we saw had an antique bed and a beautiful quilt. The majority of Amish homes are not like this first one we saw. They may have similar layouts but are much more modern. In the living room, visitors see three different kinds of lights. The most conservative Amish sects use kerosene teardrop wick lamps. Most Amish use lamps powered by propane. I spotted a tank of propane in the magazine rack. It can be taken from room to room. The most liberal sects use small bedside LED or bulb lamps. These run off a car battery or generator. Besides the basement, workshop, and barn, the living area is where the Amish hold church. Usually 25 to 30 families meet every other Sunday. The meeting spot rotates among the members’ homes with each family typically holding church services once or twice a year at their house. They clear out all the furniture then set up the backless benches. The men sit on one side and the women on the other. A typical church service, spoken in High German, starts at 8:30 or 9:00 a.m. and lasts around three hours. During the first hour, a hymn sing occurs using the Ausbund. It’s the Anabaptist hymnal. Some songs have 30 verses and take 15 to 20 minutes to sing. This hymnbook, other than the Bible, is the Amish’s most common worship book. Although there are hymns and singing, there are no musical instruments. During the next two hours, the two ministers give sermons. Men are the bishops, ministers, and deacons. Women are not leaders since the Amish believe that women are subservient to men. However, the women can help make decisions and vote. One book found in every home is the Ohio Amish Directory. It’s a listing, like a census of all Amish in Ohio, published every five years. 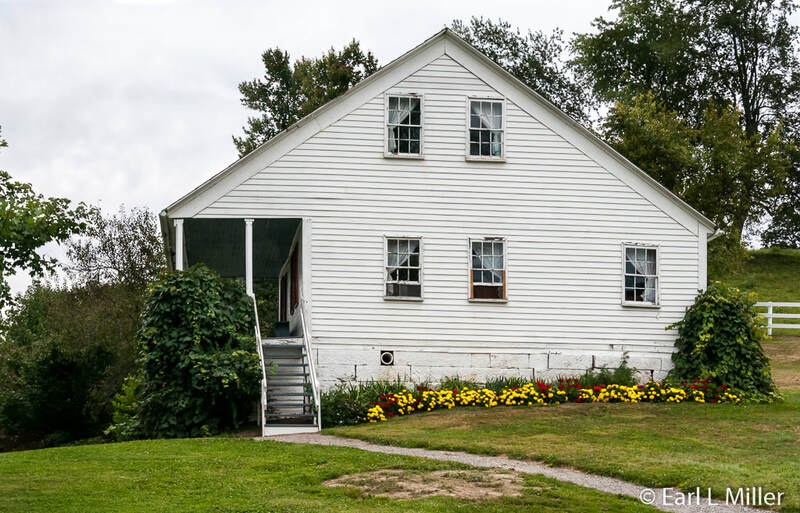 The information, collected by the Amish and taken to a printer, lists data on the head of the house, including his occupation; his wife; his children; and where they all live. Another book each Amish family has is the Bible. They use the King James version with the old and new testaments. They also read The Budget. It’s like the Amish Facebook as it publishes stories about various Amish families. Sometimes it contains as many as 500-700 letters from scribes who share the news of their community such as who is getting married, who has a new job, etc. This home had furniture typical of what you might find in a non Amish house. Its living room had modern upholstered couches and chairs. The bedroom had a bed, crib, and chest of drawers. On the bedroom bed and chair, I saw more quilts. The bathroom had normal indoor plumbing. Decorations in an Amish house are more acceptable if they also serve a practical purpose. For example, they display a calendar with attractive photographs of natural scenes. Some Amish display the Ten Commandments or colorful zip code charts with floral motifs on walls. Wall clocks are very popular. They don’t hang personal portraits or photographs with people in them. Our guide led us into the kitchen which was average sized. How a kitchen is equipped depends on the Amish order. This one had a propane stove, propane refrigerator, and a sink with hot and cold water running water. Some Amish homes use wood burning or kerosene cook stoves. At least two companies, Crystal Cold of Arcola, Illinois and EZ Freeze of Shipshewana, Indiana manufacture refrigerators adapted to run on propane or natural gas. Microwaves are not found. The dining table is quite large as the average Amish family is comprised of six to eight children. Youngsters sit on the side while the parents sit at the heads of the table. Grace is said at the beginning and end of the meal. No one can leave before the second Grace is said except for an emergency. It’s a time for family bonding. Kitchens are used at other times for family gatherings. Dairy farmers have a constant supply of milk and other dairy foods. Even those without a dairy may have a “family cow.” Many Amish keep laying hens for eggs. They also raise and butcher their own meat from pigs to poultry. Some Amish hunt deer and other animals. However, they also visit local grocery stores and even larger outlets such as Wal-Marts and chain grocery stores. How they keep food cold or frozen depends on how conservative or liberal their group is. Methods include iceboxes, propane-powered refrigerators, renting freezer space in a non Amish home, and using an ice house. Amish women are prolific canners. Each season they put away hundreds of jars of canned goods. 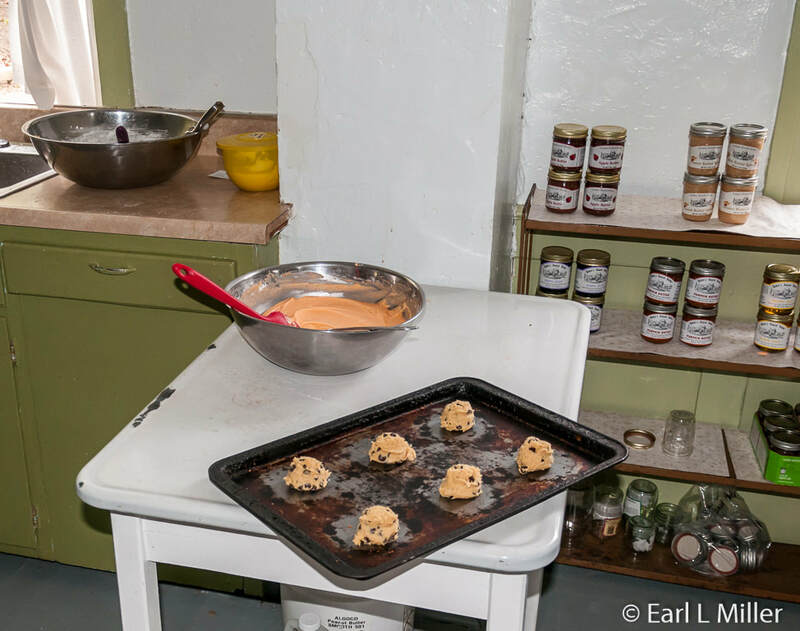 Leah, an Amish woman, was busy at the kitchen table making chocolate chip cookies. On another table, various kinds of cookies were available for sale at $.50 each. These were peanut butter, orange, oatmeal raisin, snickerdoodle, chocolate crinkles, buttermilk, and gingersnaps. The two gingersnap cookies I purchased were delicious. At the Yoder house, they also sold jellies, apple butters, and different kinds of noodles for $3 each. Canned varieties of pickles were also available ranging from dill to chunky cinnamon as were cucumber relish and pickled red beets. There was a box to put your money in as all sales were by the honor system. All items were made in the house or by other Amish families. Typical foods in an Amish diet reflect their Pennsylvania Dutch heritage and recipes they have developed themselves. Examples are cabbage rolls, pot pies, pork and dumplings, broasted chicken, and buttered egg noodles. Others are varieties of bologna, apple butter, pickled beets, and a peanut butter spread. Non-traditional foods, such as pizza and Mexican style, are popular. They bake many different varieties of pies, cookies, cakes, and breads. Whoopie pies, consisting of two slabs of chocolate cake stuffed with sweet creme, are popular as are fry pies, a pocket of crust stuffed with pie filling. The food is very filling and definitely not low-fat. Alcohol consumption varies by community and the Amish order. Some communities have a higher incidence while in others it’s nearly nonexistent. Some Amish make their own wine. They typically drink water, milk, tea, coffee, and sometimes juices or sodas. At the four bedrooms upstairs, guides explain about the different clothing. The men wear black hats to church and straw hats during the week. The men also wear Mutza suits, a jacket/vest combination, to church and for formal occasions. It has interior pockets but no exterior pockets, collars, or lapels. Hooks and eyes are used instead of buttons. Men wear suspenders instead of belts. Amish men wear Broadfall trousers. It refers to a flap covering the trousers’ entire front rather than a fly. Pants do not have any hip or front pockets. Two pockets are hidden where the barn door on the pants is located. One is for the pocket watch. Wrist watches aren’t allowed since they’re considered jewelry. Men do not have moustaches and only married men are allowed to have beards. Whether a man can trim his beard depends on the Amish order to which he belongs. A woman wears a simple long sleeved black dress to church. If she wears a white cape and white apron, it means she has been baptized. Non baptized girls wear an apron and a cape the same color as their dress. Dresses may have buttons or be held together with straight pins. The color of the dress depends on the order. The more conservative the order the women belong to, the darker the clothes. Dresses can be navy, brown, blue, green, or black. The more liberal orders wear lighter, brighter colors such as purples and pinks. Sleeve length also depends on the order. The more conservative ones have long sleeves while the more liberal ones can wear either long or short sleeves. Women are required to wear kapps over their head for the entire day. The type of bonnet over a kapp depends again on the order. Some require a bonnet to be worn at all times while others insist on it only when a woman goes to church. Before a girl is married, when she goes to church, she will wear a black bonnet. On weekdays, it is her choice to wear a black or a white bonnet. Once she is married, she always wears a white bonnet to church. More clothing is shown in the girls’ room. Boys and girls must be baptized before marriage, usually between the ages of 16 and 20. Baptism is done by sprinkling. The day a girl is baptized, she must wear a long sleeved, black dress and a white apron. On her wedding day, a girl will wear a long-sleeve dress with a white apron. She will make her own dress. It’s the same style as the ones she has so she can wear this dress again after the wedding. Weddings are normally held at homes with between 400 and 800 people invited. The last stop on the house tour is the little boys’ room. When a youngster is out of diapers, he gets to wear the same type of pants as his dad. Boys can wear blue jeans. They wear black felt hats to church and usually straw hats for every day use. 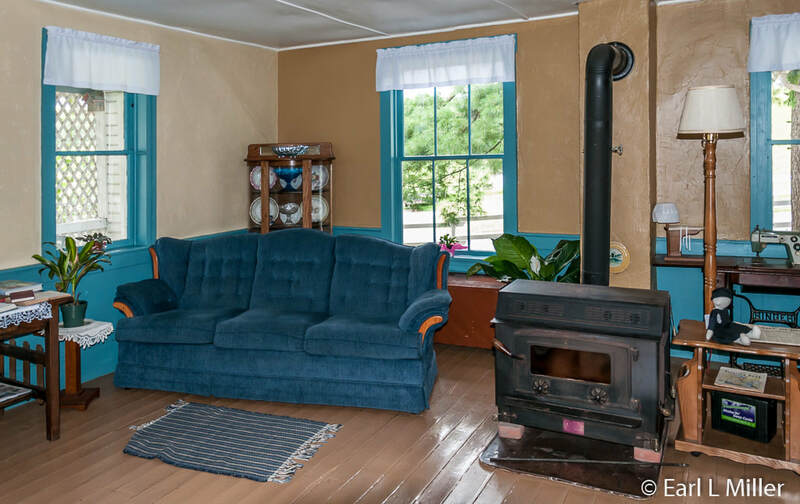 In an Amish home, you won’t find a television or computers. Free time is spent reading and with the family. Families play board games and cards. Boys also play sports - baseball, basketball, and volleyball. Hunting is an activity connecting boys to their dads. Inside the barn, we found a variety of animals including some babies. 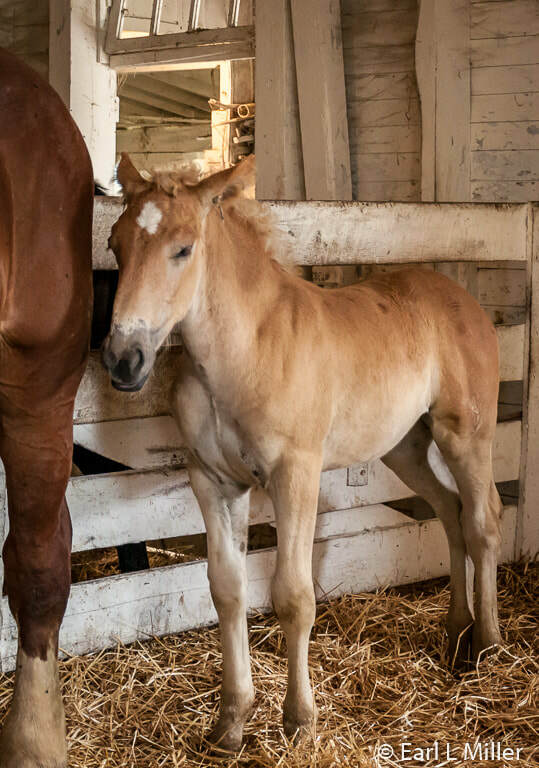 One of the horses had just had a colt. 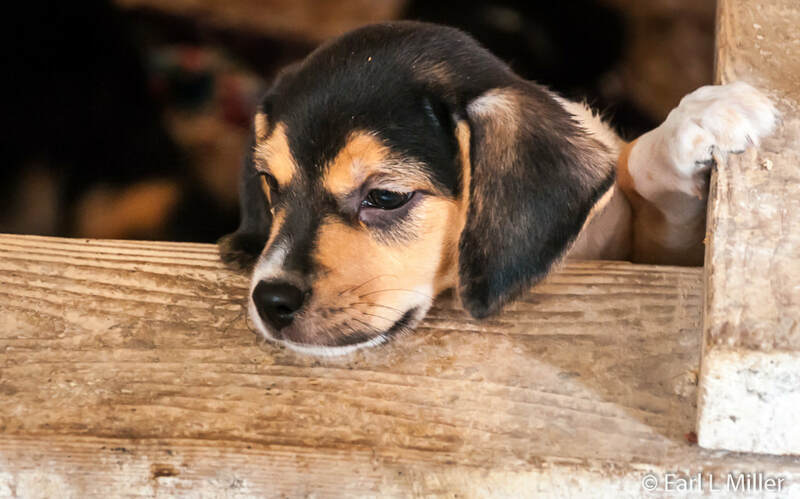 Their beagle mix dog had a litter of eight week olds and some of the pot belly pigs were only three months old. We also saw a lamb. Other animals, eager to be noticed, were more horses, goats, ducks, rabbits, sheep, donkeys, and cats. We spotted a hen sitting on eggs. On Amish farms, children learn how ponies respond. By ages 12 to 14, they are behind the team in the field. Next to the barn was the benchwagon. It hauls backless wooden benches for the church services from home to home as well as everything else required for church such as the hymn books. A cornerstone on the barn’s exterior is dated 1885. The buggy ride is for 3/4 of a mile around the farm on dirt roads. It’s not exactly a smooth ride. It stops at the schoolhouse. Buggies travel at a speed of around five to eight mph. A reasonable range for a horse is 15 to 20 miles before it rests and receives refreshment. While most large Amish have at least one buggy maker in their settlement, smaller communities will order theirs from makers in other areas. Prices vary from $1,500 to $10,000 for one that is fully loaded. The Amish use draft horses like Percherons and Belgians out in the field. Most horses pulling buggies are Standardbreds, who have retired from harness racing tracks. Others are brought in by dealers to be auctioned off at Mount Hope or are raised on local farms. Education for Amish youngsters is from grades one through eight. Amish youngsters do not attend high school. If they want to have a high school degree, they need to take the G.E.D. or equivalent. The parents, not the church, decide where to send their youngsters. Most receive their education at a one room schoolhouse while others go to public school. No electricity exists at one room schools. To use copiers, the teachers connect batteries or generators. On the tour, you will see some of the textbooks the students use. They also have outhouses instead of indoor plumbing. The Amish school year is 160 days which is as many days as the public schools have. Each school must send the attendance record to the state education department. Parents of those attending Amish parochial schools pay tuition, taxes to the Amish district, and public school taxes. Parents whose children attend public schools only pay public school taxes. Children learn three languages. By the third or fourth grade, they can read and write German and English. They also learn High German since church services are conducted in that dialect. 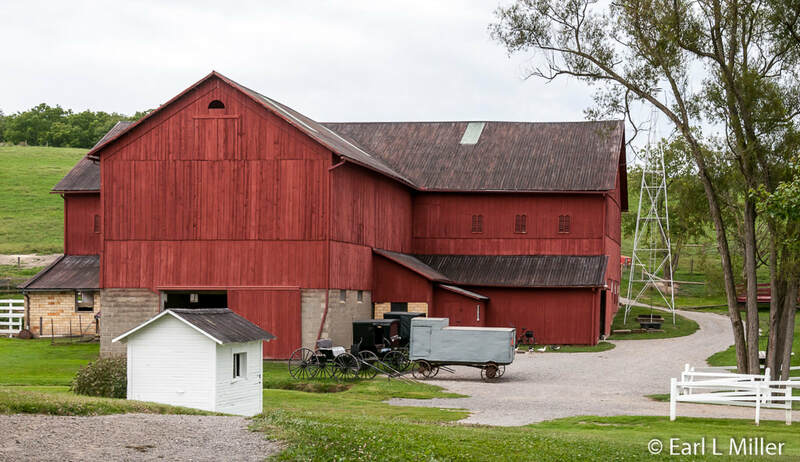 Yoder’s Amish Home is located at 6050 SR 515 near Walnut Creek. The telephone number is (330) 893-2541. 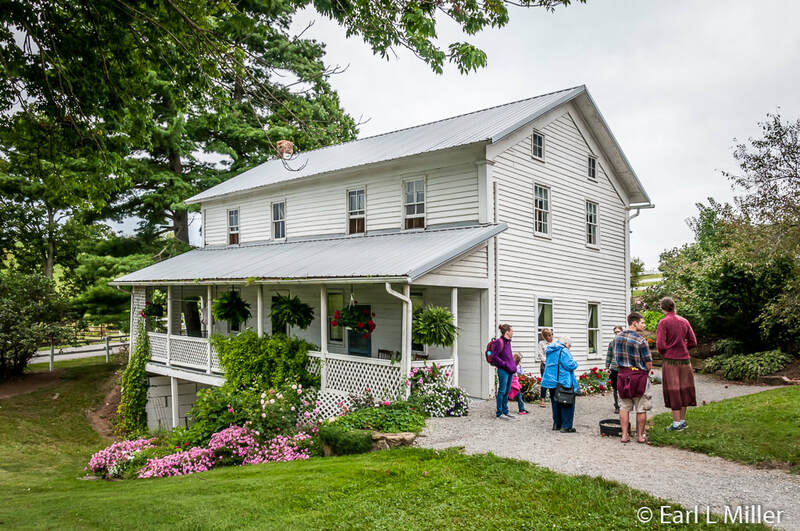 It’s a seasonal attraction running Monday through Saturday from April 21 to October 27, 2018 from 10:00 a.m. to 5:00 p.m. You can purchase tickets for the guided home and school tours and buggy rides at their gift shop. It’s also the place to buy all types of Amish crafted goods ranging from dolls to quilts. Prices for the 2018 season are adults house tour $8.25, buggy ride $4.75, and schoolhouse tour $4.25. A combination package for all three costs $13. For children, ages 2-12, the house tour is $4.75, buggy ride $3.75, and school tour $3.25. The complete package for all three is $9.